1. To Appoint Chairman of the meeting. 2. To Grant leave of absence. 3. To Confirm minutes of the previous Board Meeting. 5. To give Vote of Thanks. ATTENDANCE SHEET OF THE MEETING OF BOARD OF DIRECTORS OF M/S NAME OF COMPANY LIMITED HELD ON ---------DAY OF------------MONTH OF, 2014 AT REGISTERED OFFICE OF COMPANY. Subject: Consent to act as Managing Director U/s 196 of Companies Act, 2013. This is to submit that I, Name of Director (DIN: ______________) S/o Mr. ---------- R/o B----------------------------------, the undersigned, having consented to act as a Managing Director of the Name of Company pursuant to section 196 of Companies Act, 2013. You are requested to take on record the same. 1. The Company hereby appoints Mr. ---------------------------- (DIN: -------------) as Managing Director of the Company and the Managing Director hereby agrees to serve the Company in such a capacity for a period of five years with effect from ------------------. 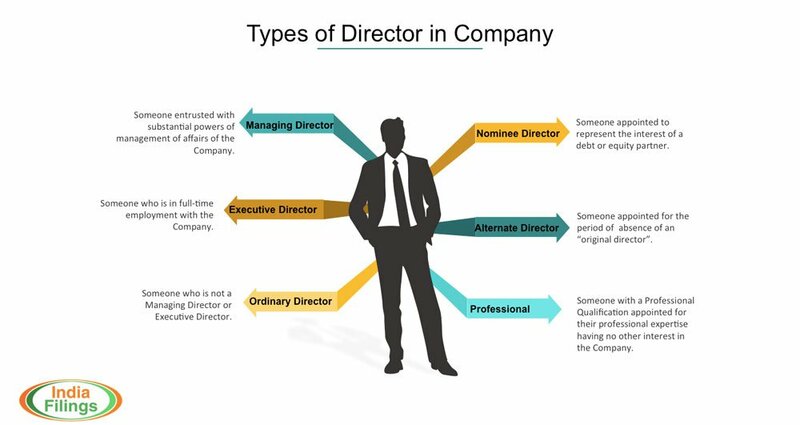 2. a) The Managing Director shall exercise and perform such powers and duties as the Board of Directors of the Company (hereinafter called “ the Board”) shall from time to time determine, and subject to any directions, and restrictions, time to time given and imposed by the Board, he shall have the general control, management and superintendence of the business of the Company with power to appoint and dismiss employees and to enter into contracts on behalf of the Company in the ordinary course of business and to do and perform all other acts and things, which in the ordinary course of business he may consider necessary or proper or in the interest of the Company. (i) With Board’s approval together with other Director(s) and other personnel authorized by the Board, to open and operate on any banking or other account and to draw, make, accept execute, endorse, discount, negotiate, retire, pay, satisfy and assign cheques, drafts, interest and dividend warrants and other negotiable or transferable instruments or securities. (ii) To incur capital expenditure up to sum of Rs.------------ lacs (Rupees --------- Lacs Only) during any financial year. (iii) To invest surplus funds of the Company in fixed deposit with the company’s bankers or other securities (liquid funds) provided that such investments in any one financial year shall not exceed Rs.------------- lacs (Rupees ---------------- Lacs Only) at any one time. To engage employees and other servants for the Company at a basic salary not exceeding Rs.---------------- lacs per month within the budget sanctioned by the Board. (iv) To increase the salary or the remuneration of any employee or servant of the Company whose basic salary does not exceed Rs.--------------- lacs per month. (v) To institute, prosecute, defend, oppose, appear or appeal to compromise, refer to arbitration, abandon subject to judgment and execution or become non-suited in any legal proceedings including trade marks, trade names and trade property and customs passing off actions and revenue proceedings relating to customs or excise duties, tax on income, profits and capital and taxation generally or otherwise as it relates to the Company. (vi) To give loan to employees other then directors of company of Rs. 1 lacs (Rupees one lacs only) each and Rs. --------------- lacs (Rupees ------------ Lacs only) in aggregate. 3. The Managing Director shall throughout the said term devote the whole of his time, attention and abilities to the business of the Company, and shall obey the orders from time to time, of the Board and in all respects, confirm to and comply with the directions and regulations made by the Board, and shall well and faithfully serve the company and use his utmost endeavours to promote the interest thereof. Agreement in consideration of the performance of his duties. (i) A salary at the rate of Rs. -------------- lacs (Rupees ------------- Lacs only) per month w.e.f-------------------, which may be reviewed by the Board. (ii) Reimbursement of medical and hospitalization expenses of the Managing Director and his family subject to a ceiling of one month salary in a year. (iii) Leave Travel Allowance for the Managing Director and his family once in a year in accordance with the Company policy. (iv) Bonus for the financial year, at the discretion of the Company, with shareholder approval. (v) Reimbursement of expenses incurred by him in Purchase of newspapers, magazines, books and periodicals in accordance with the Company policy. (vi) Reimbursement of expenses incurred by him on account of business of the Company in accordance with the Company policy. (vi) Reimbursement of any other expenses properly incurred by him in accordance with the rules and policies of the Company. Coupons and telephone at residence. time as the Board may by its discretion determine. 5. This agreement may be terminated by either the Company or the Managing Director at any time within the five year period, by the giving of 3 months notice in writing. In witness whereof the parties hereto have set their hands the day, month and year first above written. I Name of Director, hereby give my consent to act as director of Name of Director Limited, pursuant to sub-section (5) of section 152 of the Companies Act, 2013 and certify that I am not disqualified to become a director under the Companies Act, 2013. I declare that I have not been convicted of any offence in connection with the promotion, formation or management of any company or LLP and have not been found guilty of any fraud or misfeasance or of any breach of duty to any company under this Act or any previous company law in the last five years. I further declare that if appointed my total Directorship in all the companies shall not exceed the prescribed number of companies in which a person can be appointed as a Director. The Chairperson placed before the Board draft Agreement to be entered with Mr. Date of Director (DIN: ----------) to re-appoint him as Managing Director of company w.e.f. ---------------------------- as per terms and condition mentioned in the draft agreement. “RESOLVED THAT pursuant to the provisions of the of Companies Act, 1956 along with other applicable provisions, if any of the Companies act 2013, and rule made there under (including any statutory modification or re-enactment thereof for the time being enforce) and Article of Association of Company and subject to approval of shareholders in general meeting, Mr. name of director (DIN: --------------), Managing Director of the Company be and is hereby Re-appointed as Managing Director of the Company with effect from -------------------------- as per terms and conditions as mentioned in the agreement to be entered with him. “RESOLVED FURTHER THAT Mr. ---------------- (DIN: ------------) and Mrs. ---------------- (DIN: ----------), Directors of the Company either jointly or severally be and is hereby authorized to do all such acts, deeds, things etc. as may be required to comply with all formalities etc. as may be required to comply with all formalities in this regard”.